Okay today I have a very special promotion for you. If you have read my blog in the past, you should know that I was involved (as a student) with a mini course from Dean Holland called Quick Start Challenge. The training was great and it covered some basic (but essential) things to get started online. All of that, while not being distracted and getting things done no matter what. When you have been working as an Internet Marketer for a while, none of these points can represent much of a problem. However, there is something I like to call “long-term newbies” and let me explain what I mean by this. 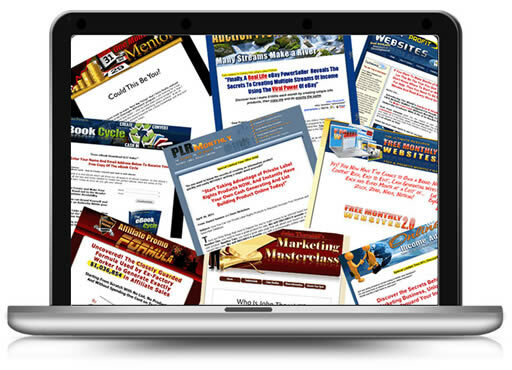 You CAN claim to have been working as an Internet Marketer for a while (even several years) but that doesn’t means you are successful or that you’re making any money online. There is only one thing that makes the difference between making money online and not making one cent and you know what that is? Are you offering any products of your own already? Are you providing any services? I have seen many people complain that they can’t make any money online yet they don’t offer anything of these two, no products and no services. In my case I chose services first because I didn’t feel “ready” creating products but this brought a very big disadvantage to the table and that is TIME. So to sum this up, the only real way to start making some decent money online is having your own products to sell and that you can set some sort of automation to deliver the product and collect the cash without your intervention. There’s a program called Product Development Control created by Dan Sumner with some participations from John Thornhill. Ensure all is good to go and you have it all covered. No turning back! Is Product Development For You? Would the PDC training be right for you? Well let’s find out! First of all, this is NOT a “get rich scheme”, like every other real business, it requires hard work, dedication and some common sense. You must be teachable. This means that even if you are very creative, you MUST be open to all suggestions, tips and recommendations from Dan (Sumner) and John (Thornhill) after all, they are there for one reason only and that’s to HELP YOU. The level of experience required for this, can be ZERO. You are literally taken by the hand on a step-by-step basis: first do this, then do this, then do this, etc. (In the computing world, we would say this is “fool-proof”). If you have some experience with Internet Marketing but haven’t created your product yet, then you’re simply going to LOVE this. This of course, comes with a whopping 60-day guarantee so if you’re not completely satisfied with your training, you will be refunded in full. The regular price to get Product Development Control is $37 which I think it’s an amazing deal for everything I just mentioned. You can check out that price here. 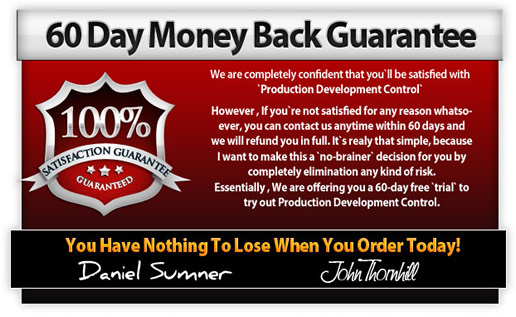 However, I managed to get a $10 USD discount from Dan only for my readers so you’ll be able to buy Product Development Control at just $27 right from this page. I wrote a review about Product Development Control here, you can check that out in case you want to have a little bit more information before jumping in. If you have any question just let me know in the comments area or you can also ask me in private via e-mail through my contact form here. Important: In my review I mention a few special bonuses such as personal consulting and a 30-minute session with me, those are NOT longer being offered. You can, however ask for three PLR products on the niche of your choice if you send me your receipt number to bonus [at] marketingwithsergio [dot] com and I’ll be more than glad to set you up with some cool stuff. Make sure you see webinet as the affiliate in the Clickbank sales page (it’s located at the bottom of the page) as without it, I won’t be able to track your order and you won’t get your bonuses either. As always, do your own due diligence and make an informed decision. PS. This is the actual training I’m following to create my first product for marketers, you’ll know more as soon as I have something to share.